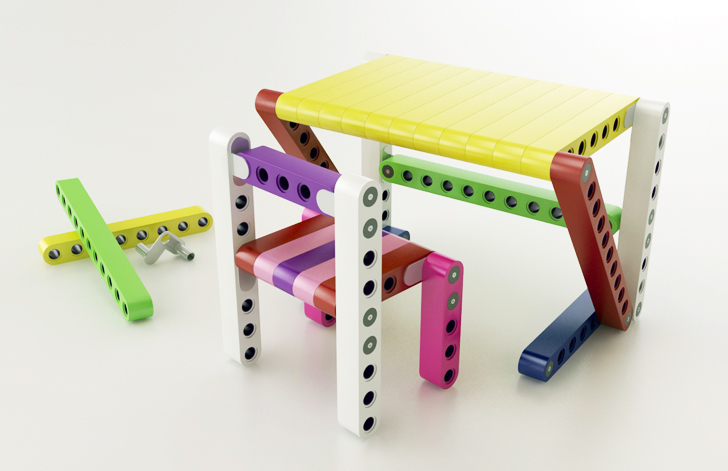 OLLA Kidsfurniture Fits Together Like Giant LEGO Blocks to Create Multiple Furniture Pieces! OLLA Kidsfurniture system lets you treat your child’s room like a giant LEGO set! The colorful LEGO-like pieces can be arranged to create a host of kids’ furniture pieces, from miniature desks to loft beds. The modular line has just launched an Indiegogo campaign, giving budding furniture designers a chance to grab a set before they go retail. Read on to learn about the KIDS who invented this super cool furniture after being inspired while playing with their LEGO set! RELATED | Build Your Own Furniture Out of Life-Sized LEGO Pieces! The components are easy enough for kids to reconfigure themselves, giving them the satisfaction of being the creator of their own pieces. The lightweight building blocks snap into place easily, putting the power of design into a child’s hands. 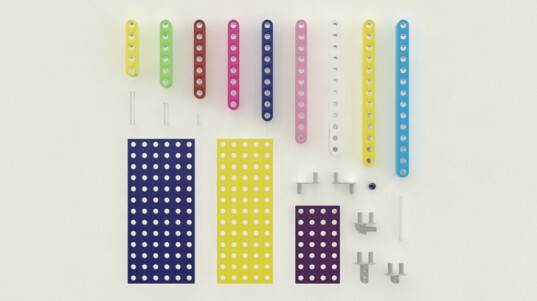 The modular system allows the pieces to be constantly reinvented. A chair can be easily disassembled and transformed into a desk, which can be given a new life as a loft bed. All of the furniture kits can be joined together cumulatively, just like a LEGO set, making for myriad possibilities. Kits range from Olla chairs to larger kits that can create beds or forts. One of the best attributes of this furniture is that it can grow with your kids. A kid sized-chair can turn into a larger table, desk or stool, making the system invaluable for years. Olla Furniture is made from a 100% natural and renewable material called Liquid Wood. The company’s goal is to get the toxins and chemicals out of kids rooms. Liquid Wood is a special material from Germany which uses lignin and cellulose to create a material which is 100% natural. 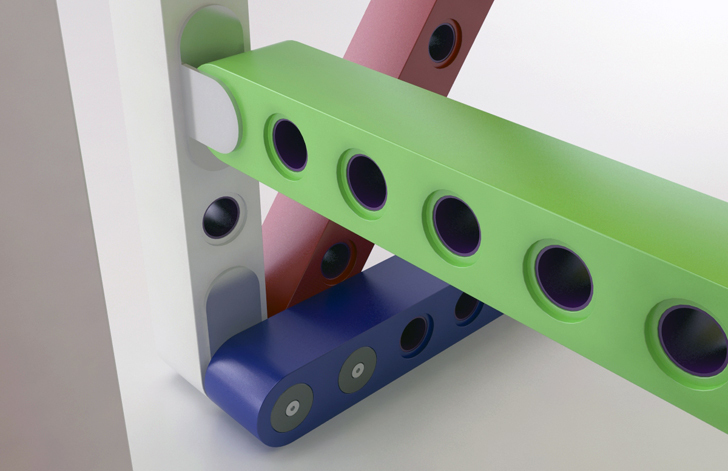 OLLA Kidsfurniture system lets you treat your child�s room like a giant LEGO set! The colorful LEGO-like pieces can be arranged to create a host of kids� furniture pieces, from miniature desks to loft beds. The modular line has just launched an Indiegogo campaign, giving budding furniture designers a chance to grab a set before they go retail. Read on to learn about the KIDS who invented this super cool furniture after being inspired while playing with their LEGO set!